Emergency repairs to a crumbling Capital Beltway bridge in Prince George's County are expected to cause delays for southbound drivers early this weekend. The work starts around 9 p.m. Friday and can last up to noon on Saturday. WASHINGTON — Emergency repairs to a crumbling Capital Beltway bridge in Prince George’s County are expected to cause delays for southbound drivers early this weekend. 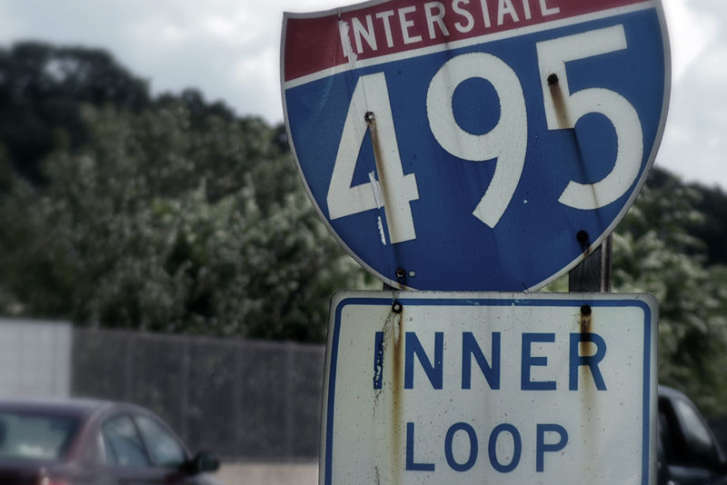 Beginning around 9 p.m. Friday, the Maryland Department of Transportation State Highway Administration plans to block three left lanes on the Inner Loop between Maryland Route 450 and U.S. Route 50 in Lanham. Traffic will move past the work zone in a single file on the bridge above Amtrak railroad tracks while crews fix a bad expansion joint. The work could last through noon on Saturday. “It’s had all kinds of issues with holes in the bridge deck and things like this with these joints,” said SHA spokesperson Charlie Gischlar. The old bridge joint will be excavated and replaced. There is also a concrete component to the work but Gischlar said crews will be using a quickset concrete to expedite the work. “We have to rebuild the entire housing – it’s called a ‘bridge angle’ – which holds the joint.” Gischlar said quickset concrete comes up to strength within an hour or so. The bridge that carries the Inner Loop above the railroad tracks was built in 1964 and is not currently listed as structurally deficient. The older bridge for the Outer Loop was built in 1958. Through remedial engineering, the highway administration has been regularly applying bandages to the pot-marked bridges for the past few years. Although the bridge is considered safe for travel, should the next inspection reveal a further state of deterioration, Gischlar said the state could begin designing and aligning funding for a new overpass. Work to replace several older Beltway bridges in Prince George’s County is already underway including the overpasses above Suitland Road, Suitland Parkway and Central Avenue. Traffic on the southbound Baltimore-Washington Parkway and D.C. Route 295 could be heavier than usual as drivers attempt to work around the expected backup on the Beltway. MDOT said Virginia-bound drivers should consider using the American Legion Bridge while work is taking place.